The solar farm in Wagdari was awarded by Solar Energy Corporation India (SECI) to Lightsource BP as one of just two contracts to be won by non-Indian firms, after it bid for one of the lowest levels of viability gap funding (VGF) support at INR1.96 million (£21,741) per megawatt. The project was financed in partnership with UK Climate Investments (UKCI), a joint venture between Macquarie’s Green Investment Group and the Department for Business Energy and Industrial Strategy (BEIS). As the company’s first project of its size in India, chief executive Nick Boyle said the completion of the project was “testament to Lightsource BP’s ability to deliver”. Construction, module supply, and technical expertise for the project were provided by Sterling & Wilson and LONGi Solar, which supplied 200,000 modules to the 97-hectare development. Project finance was provided by Rabobank. Richard Abel, managing director of UKCI, added: “Official commissioning of the site is a major milestone towards providing clean electricity for around 20,000 homes in the Maharashtra region. Prior to the 43% acquisition of Lightsource by BP in December, the British solar developer had said its work with UKCI would lead to the development of at least 300MW of new Indian PV projects, as well as the acquisition of operational assets. This was followed in April with the launch of a fund management platform by Lightsource BP and Indian private equity firm Everstone Group, with the initial Green Growth Equity Fund (GGEF) targeting £500 million to invest in green infrastructure in India. The ongoing work has been singled out by the UK’s energy and clean growth minister Claire Perry as evidence of the UK’s ability to export its solar expertise to other markets such as India. “I am delighted that UKCI is working alongside London-based Lightsource BP to leverage the UK’s expertise in solar and support India’s ambitions for renewable energy,” she said. 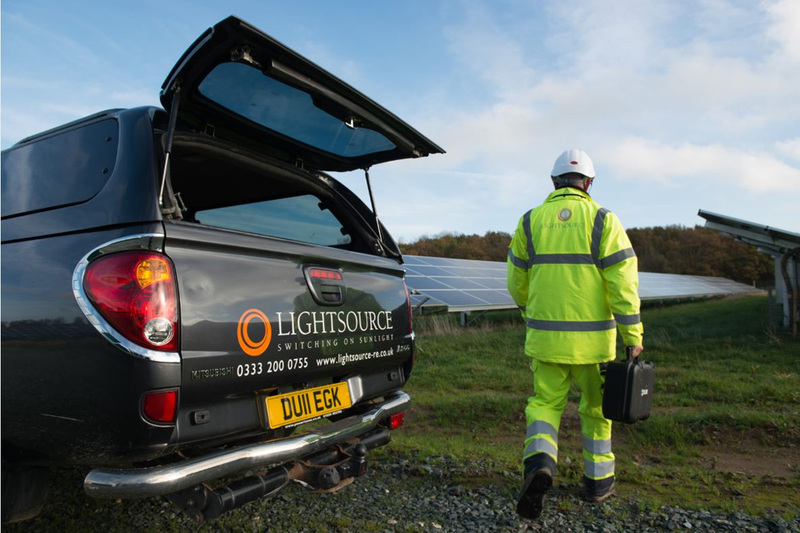 Once the most prolific solar developer in the UK, Lightsource BP has readily sought opportunities abroad along with a number of other British companies following the drastic scaling back of government support for new solar under the watch of Perry and her predecessors. Since the closure of the Renewables Obligation regime in 2017, and the previous cuts to the small-scale feed-in tariff, deployment under the FiT remains around 80% lower than before. Similarly, ground-mount solar installations have all but come to a halt as developers seek to bring forward subsidy-free projects. Meanwhile, large scale solar remains the only form of renewable generation to be locked out of the Contracts for Difference auctions despite offering one of the cheapest forms of generation.